Deb’s plays have been produced at Steppenwolf Theatre Company, Cleveland Playhouse, Geva Theatre Center, Cincinnati Playhouse in the Park, Portland Stage, and The Humana Festival. Informed Consent, an Alfred P. Sloan/EST commission appeared at The Duke Theatre in NYC in 2015, a co-production of Primary Stages and EST. It was a NYTimes Critic’s Pick. 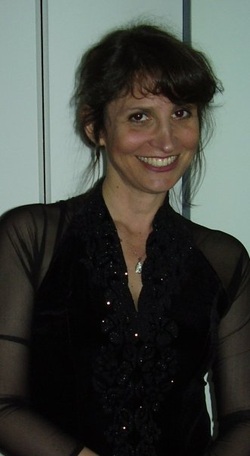 Her playEnd Days won The ATCA Steinberg citation, and has received over 70 productions around the country, and in Germany, Russia and Australia. Other plays includeLeveling Up, Out of Sterno, The Last Schwartz, Sirens, Meta, The Gulf of Westchester, Miniatures, Fortune, and, most recently, Be Here Now, commissioned and produced by Cincinnati Playhouse in the Park, and Window Treatment,a collaboration with composer Daniel Green, produced in NYC by Premieres, Inner Voices, both in 2018. Deb is arecipient of the Helen Merrill Playwriting Award, the Lilly Award, and grants and commissions from The Alfred P. Sloan Foundation, The Edgerton Foundation, The National New Play Network, the NEA, and the LeCompte du Nouy grant from the Lincoln Center Foundation. Her plays are published by Samuel French, Smith and Kraus, and Playscripts, and have been developed at The Eugene O’Neill Playwrights Conference, PlayPenn, Williamstown Theatre Festival, The Ojai Playwrights Conference, The Missoula Colony, The Cherry Lane Alternative, The Dramatists Guild Fellowship Program, New Georges, The Lark Play Development Center, Asolo Repertory Theatre, PlayLab, and the Baltic Playwrights Conference. She is a graduate of Juilliard, an alumna of the BMI Lehman Engel Musical Theatre Workshop, and a member of The Dramatists Guild.